The Terra Alta DO in Catalonia barely was mentioned as a source of quality wine by John Radford in his book, The New Spain: A Complete Guide to Contemporary Spanish Wine (revised edition, 2004). Perhaps it’s time for a new edition, because in the intervening years much has happened in Terra Alta. Indeed, in the 7th edition (2013) of The World Atlas of Wine, by Hugh Johnson and Jancis Robinson, had this to say about Terra Alta: “imported red varieties have been replacing the region’s Garnacha Blanca . . . . Vinos Piñol . . . make refined red Garnacha and Cariñena.” Remarkably, Hugh Johnson’s Pocket Wine Book 2016, doesn’t even mention Terra Alta at all, much less Vinos Piñol. However, José Peñín, the authoritative Spanish writer on the wines of that country had, in his Atlas de los vinos de España (2000), quite a bit more to say about the region and its wines and was rather upbeat about its prospects for making quality wine. How can this be? Well, the region is a relatively new DO or Denominación de Origen as of 1982. It is very small, its winters cold and its summers hot, and its average rainfall is between 14 to 20 inches annually. The soil is mostly limestone interspersed with some clay, very similar to that of the better-known terroir of Priorat. The winds of the region, particularly the southerly cierzo and the garbí that blows from the northeast, help to keep the grapes dry and healthy, as does the wide diurnal temperature variation. 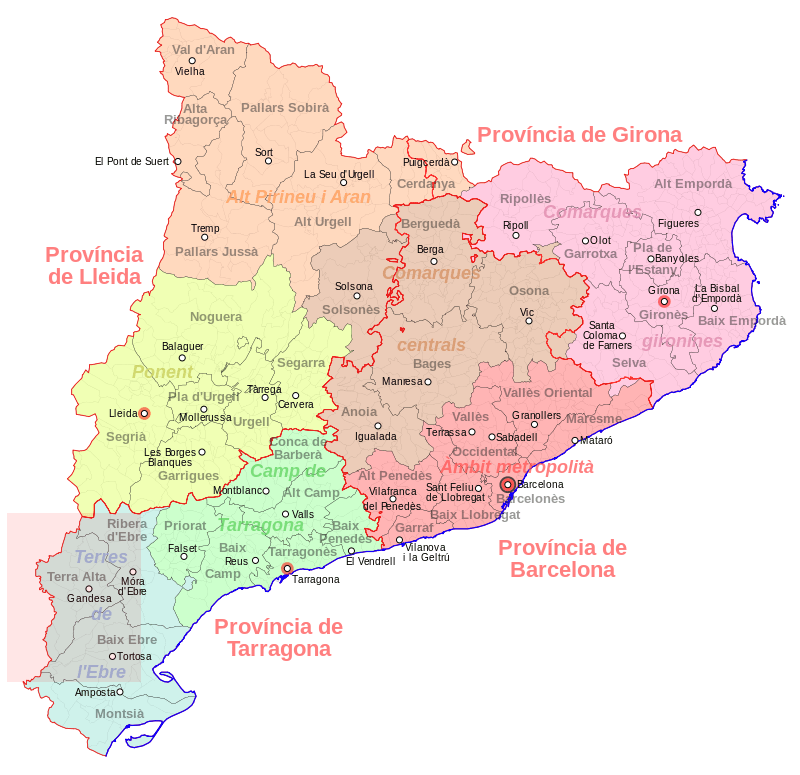 Terra Alta is a rather tiny part of the province of Tarragona, situated in the high mountains of the Southwest of the province (see the pink area of the map). It was settled before the ancient Romans colonized Spain; indeed, there is evidence that winemaking preceded their arrival. Originally known for its white wines, particularly an oxidized type called “amber blanc” or rancio, the inevitable arrival of the Phylloxera louse in the late 1800s forced the replanting of the vineyards. In 2000 it had but 8500 hectares (21,590 acres) planted to vines and by 2010 that area had grown but little, to 22,793 acres. However, it has undergone a major transformation in the last 20 years. Once dominated by winery cooperatives, a few indigenous varieties such as Garnatxa, both red and white (Grenache in Catalan) and some imported varieties such as Cabernet Sauvignon, it has been transformed by the rise of small wineries with big ambitions. 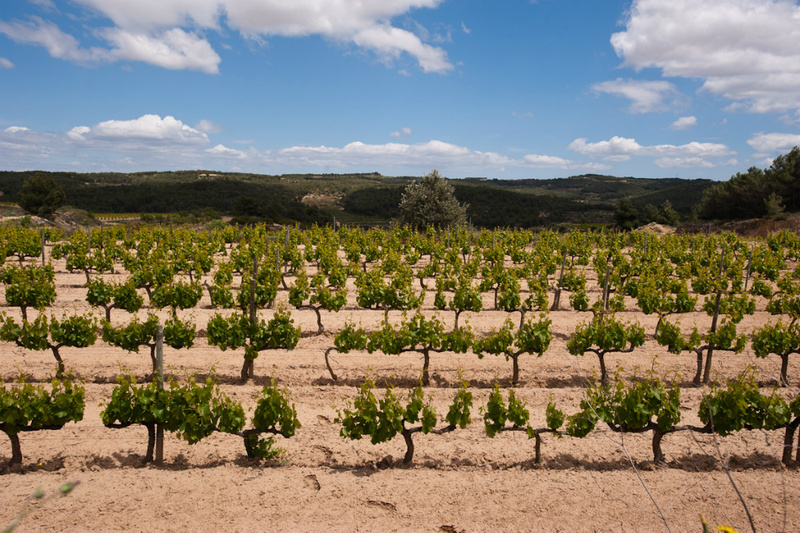 Today, Terra Alta’s top white varieties are Garnacha Blanca, Macabeo, Parellada, Moscatel, and Chardonnay. Garnacha Tinta and Cariñena (locally called Samsó) are the most-planted red grape varieties; Garnacha Peluda, the rare Morenillo, along with the imports, Tempranillo, Syrah, Merlot, and Cabernet Sauvignon are also in the vineyards. There are also experimental plantings of Chenin Blanc, Sauvignon Blanc and Marselan (a Cab Sauv × Grenache crossing). 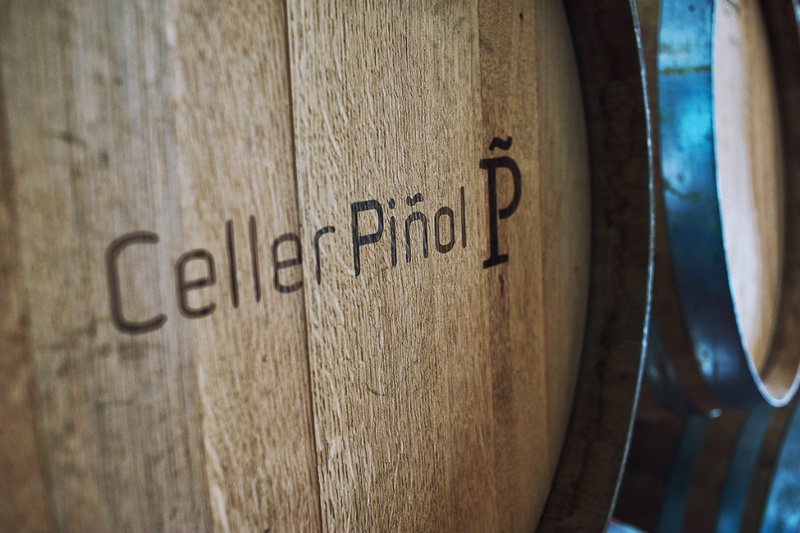 Among the most notable of the newer wineries is Vinos Piñol, also known as Celler Piñol. This winery has been held in the Piñol family since 1945 for four generations. Their wines are made from entirely indigenous varieties that in many cases came from 85-year-old vines. The vineyard, located at an altitude of roughly 500 meters (over 1,600 feet), has been farmed organically since 2000. Most of the vines are trained to single-Guyot trellises and head-pruned. Juanjo Garcela Piñol, trained as a chemical engineer, was called to the winery in 1998 by his aging parents, who needed his help in maintaining the vineyard and making the wine. Though he had no oenological training, his chemistry background was very helpful and over time he read heavily and took some courses in winemaking. Today he runs the winery and shares winemaking responsibilities with Toni Coca, along with María Mendoza, who also helps out in the winery and in the vineyard; his mother Josefa maintains the cellar. His first bottling was the 1995 Avi Arrufi Blanco, of which there were 2,000 bottles. Nevertheless, apart from its appeal within Terra Alta, it turned out to be a very hard sell outside the region, itself barely known and the winery utterly unknown. However, today Piñol exports 85% of its production abroad and has received rave reviews and 90+ points many times since then. The US importer is Olé, which brings in a select number of each of nine different Piñol wines. 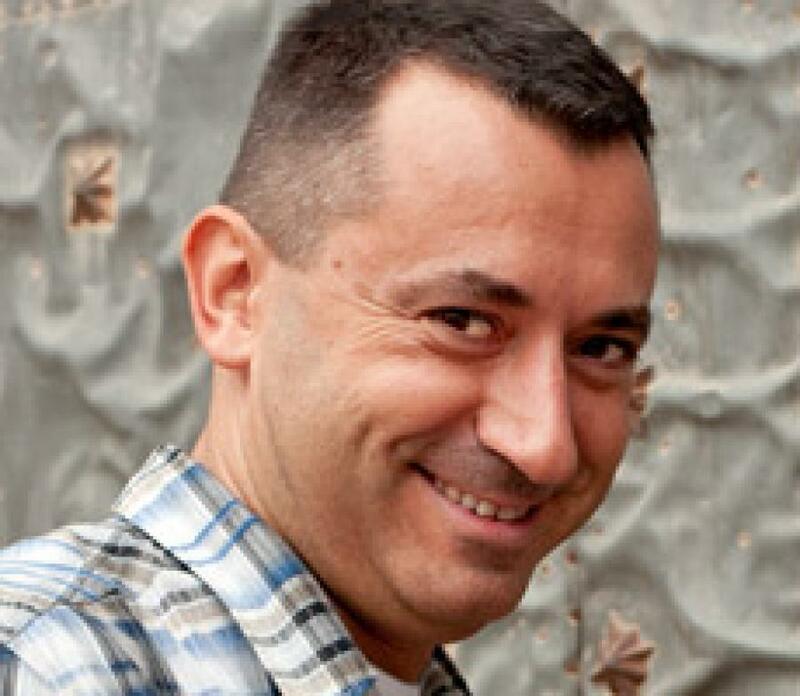 He currently produces wines made from four white varieties (Garnacha Blanca, Sauvignon Blanc, Viognier, and Macabeo) and six red ones (Cabernet Sauvignon, Garnatxa, Merlot, Syrah, Tempranillo, and Morenillo). He has also introduced three new varieties (Petit Verdot, Marselan, and Verdejo). From these he makes a total of 11 wines, most of which are blends. For the interview with him, the following wines were tasted: L’Avi Arrufi Blanca, Portal Tinto, Sa Natura Tinto, and Mather Teresina. All of these wines have received both critical praise from Jancis Robinson among others, and high scores of 90 to 95 from José Peñín, Robert Parker, and Stephen Tanzer of IWC. The overall style of the wines is decidedly nuanced, but with clear and distinctive character. This is due to the fact that the focus of the winemaking is on expressing the unique terroir of the vineyards. Whereas many Spanish wineries are increasingly turning to imported varieties, Piñol prefers to emphasize the local, autochthonous varieties, though in the case of the red wines some Syrah is added to deepen the color of the wines, especially given that the dominant red variety, Garnacha, though rich in aromas and flavors, tends to make slightly pale wines. Three-quarters of the wines produced are reds, the rest are whites made from Garnatxa Blanca. (This variety is a specialty of the region, and 35% of the global production of that grape is in Terra Alta.) About 85% of all the grapes they use come from their own vines and the rest are purchased from other organic vineyards in the DO. The 2010 L’Avi Arrufi Blanca is made entirely of Garnatxa Blanca from 50-year-old vines. It spent eight months in French oak and yielded an alcohol level of 14.8%. The quality of the wine comes in good part from the fact that the vines have very deep roots that tap into the minerality of the soil, according to Piñol. The result is a wine of high minerality and flavors of stone fruit like peaches and apricots, with spiciness and smoky notes derived from the oak. Its mouthfeel is unctuous and rich, giving a long aftertaste that reminds of a fine white Burgundy. This is why Piñol has increased the production of its white varieties from 10% of its wines five years ago to 25% today. Only 300 six-packs have been imported by Olé, as it is now in high demand worldwide. 92 points from Robert Parker, 90 Points from José Peñín. At only $20 this red wine drinks more like a wine costing twice as much yet is made with organic, estate-grown grapes, comprised by 50% Cariñena, 20% Garnacha, 15% Syrah, 15% Merlot varieties. The vines grow in clay and limestone soil at 356 m (1,168 ft) elevation. There are earthy tones, as well as pepper, blackcurrant and cherry fruit, with a medium to full body, balanced acidity, and lush tannins. 3,000 cases were produced. Drink it over the next 4-6 years. Each variety was hand-harvested when optimum ripeness occurred for a given grape. After selecting the best grapes from each bunch, the grapes macerate with their juice for 4 days at 6ºC (43°F) for greater fruit expression. After that fermentation is carried out at a temperature of 27ºC (81°F). Maceration and skin contact lasts for 25 days. Malolactic fermentation then takes place, half in oak barrels and half in stainless steel tanks; after which the wine is aged for 13 months in 85% French and 15% American oak. It contains 14% alcohol. Pairing suggestions include a rare beef cheddar burger, but the wine’s fresh black and blue fruits will pair even better with a lamb or turkey burger with a slice of Jarlsberg. If grilling sausages, go toward sweet pork and veal rather than spicy beef dishes. White meat also pairs well with Sa Natura due to its inherently sweeter character and also is a good match for meat dishes in mushroom sauce. The 2011 earned 92 points from Wine Enthusiast & was an Editor’s Choice; prior vintages all earned 90+ points from Robert Parker and others. This wine is made from certified organically-grown grapes, from which 3,050 cases were produced for the 2012 vintage. The vines are head-pruned, dry-farmed (no irrigation), and grow in limestone and clay soil. The vineyards are located within Batea, a town at an elevation of 450 m (1,476 ft). The wine is comprised by 50% Garnacha, 20% Carignan, 10% Merlot, 10% Syrah, and 10% Tempranillo. Portal Red is dark ruby-colored, while the aroma reveals minerality, cedar, tobacco, cassis, and black fruit. Ripe and fruit-sweet on the palate, with licorice, dried herbs and mineral notes, ending with a long, fruity finish. It should remain enjoyable for a few more years. This wine’s ripe, juicy character is very easy to pair with foods like casual American fare (burgers, wrap sandwiches, burritos), spicy Latino dishes, as well as aged hard cheeses. A vineyard from which the Mather Terisina wines are sourced. This is Piñol’s premiere wine, made from a selection of the best barrels of Garnatxa (50%), Cariñena (30%) and Morenillo (20%) of the 2008 vintage, resulting in a limited production of 7,750 bottles, of which over 1,400 were imported by Olé to the United States. The vines, by the way, are anywhere from 35 to 60 years old. The wines spent 20 – 24 months in 85% French and 15% in new American oak barrels and fined with no animal products, so it can be considered a vegan wine. Its alcohol content is 14.85%. This wine has high-pitched aromas of red fruits, wet stones and spices. With acidity that lends a “nervous” character to the fruit in the mouth, the wine’s tannins are substantial but fine grained. This is a wine of roundness, volume, depth and great length and should be enjoyed with dishes like pheasant, duck, venison, fois gras, roast pork, and aged hard cheeses. Among the awards won by Mather Teresina, Vinum Magazine (Germany) has lauded it as one of the best wines in Spain, alongside the prestigious Vega Sicilia. Robert Parker gave Mather Teresina 92 points in his Wine Advocate magazine. The wine offers aromas of spice and red berries, as well as notes of licorice and coffee, along with vanilla and mineral nuances in the background. It has a precision on the palate, with both sour cherry and sweet raspberry flavors that amplify with time. It is full-bodied and well-developed, though promising a long life ahead, given its well-knit tannins and good acid backbone. The finish is long and lingering. A wine for contemplation as well as food, especially beef or game in rich sauces. A wine that was not tasted for this interview is the Finca Morenillo, based 100% on a rare, local variety that had almost vanished. It is of very limited production at 500 cases or 3,000 bottles and is unique in the wine world. A small amount has been imported into the USA by Olé. Once this writer finds it and has tasted it shall be added to this review. Based on an interview with Juanjo Piñol in July 2015. This entry was posted in Vineyards, Vinification, Viticulture and tagged Celler Pinol, Juanjo Galcera Piñol, Juanjo Pinol, Morenillo, Ole Imports, Terra Alta DO, Vinos Pinol on 5 October 2015 by JoseM-L.